How Will the End of Net Neutrality Affect eCommerce Merchants? What Does the Net Neutrality Battle Mean for My Business? Despite criticism from consumers, tech companies, and individual citizens, the effort to end net neutrality is rapidly advancing. The battle over net neutrality reached a fever-pitch in May 2017 after the FCC voted to end the Obama-era policy. With all the news about net neutrality, you might wonder what the policy's end means for eCommerce merchants. Net neutrality stems from a 2015 policy enacted by the FCC. These regulations prohibited ISPs from selectively blocking or throttling content, or accepting money from content providers to prioritize their data over other services. Net neutrality gave the FCC authority to regulate ISPs under Title II of the Communications Act of 1934. This Depression-era policy was put in place to limit the power of the telephone monopolies. Previously, ISPs fell under Title I and were regulated by the FTC. Moving the internet to Title II reclassified its access as a utility, rather than a luxury. Most consumers, as well as many in the tech industry, agree that net neutrality safeguards access to information and promotes innovation. Critics, on the other hand, argue that the regulations are burdensome for ISPs, and it's unnecessary to mandate neutrality toward online content or customers. Following the FCC board's 2-1 vote, regulators will be empowered to make institutional changes by mid-August. Neutrality supporters have a precariously narrow window to rally public opinion—and time is quickly running out. "The Communications Act should not apply"
vs. "Updates make the Act applicable"
Opponents argue that Title II of the Communications Act of 1934 is outdated and does not apply to ISPs. It’s true that Title II is more than 80 years old, but the regulations have been greatly modified in recent years. One example is the Telecommunications Act of 1996, which updated the Act for dial-up providers. Because early ISPs tended to be phone companies, most were grandfathered into Title II. Eventually, they fell under the jurisdiction of Title I. Either way, Title II already applied to some broadband and mobile services prior to 2015. The end of net neutrality as a concrete policy will not roll that back entirely. Opponents argue net neutrality discourages investment, saddles small businesses with unnecessary regulations, is burdensome, and prevents growth. As evidence, FCC Chairman Ajit Pai cited claims by businesses that net neutrality regulations forced them to delay or cancel new services and features. These claims aren’t meritless: ISPs cut total investments by 5% since net neutrality took effect. Supporters have voiced skepticism of these claims. Some suggest that a tax credit could offset added costs. They’ve also criticized the FCC’s investment data, suggesting net neutrality is too young to produce any significant insight. Many of America’s best-known corporate brands took opposing sides in the neutrality debate. ISPs, like Verizon and Comcast, are in favor of ending Title II. Content, social media, and service sites like Amazon, Google, and Facebook defend net neutrality. Net neutrality critics argue that the internet was not “broken” before 2015. Title II didn’t “save” the internet from companies attempting to rank profitable data, or damage free speech by blocking sites from users. The fact that ISPs behaved ethically for more than two decades—and internet usage skyrocketed—is supposed proof that there is no reason to worry. On the other side, supporters point out that ISPs were governed by Title II for much of that time. After reclassifying ISPs under Title I, FTC and FCC regulators uncovered numerous instances of providers throttling or attempting to cap data. Neutrality advocates believe it’s absolutely necessary to closely monitor the behavior of ISPs—especially today, with so many people and industries dependent on the internet. Why Are FinTech & eCommerce Businesses So Opposed to this Change? The confusion surrounding net neutrality leaves many consumers at a loss. Most are in the dark about how internet usage will be regulated in the future. If you conduct your business online, your primary concern might be how this will impact you. Many diverse businesses are coming together to voice concerns over net neutrality. Two of the most outspoken are FinTech services and eCommerce merchants. Many tech companies fear the same for eCommerce. Even industry giants like Amazon suggest losing net neutrality could enable a “pay-for-play” model that would allow large businesses to use their resources to suppress smaller competitors. Some argue that removing net neutrality will make US financial services unattractive to foreign investment. This could also hamper domestic companies’ ability to operate internationally, which is a serious concern. 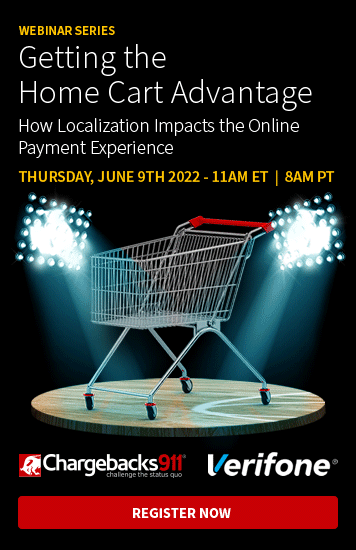 One of FinTech’s strongest selling points is the power to connect consumers around the world. Net neutrality supporters say US companies will be on the outside looking in without cross-border access. Online sales are far more likely to result in chargebacks. Learn more. The same could be true of eCommerce sellers. International businesses may limit or even avoid the US if they suspect unfair treatment by US providers. This restricts choices for consumers, and delays progress in the industry. Promoting Products by Punishing Competition? Some even worry ISPs could take advantage of the honor system to advance their own interests. For example, an ISP might invest in a service, then throttle competitors’ speeds. This would give their product a competitive advantage. A “double-dip” would subvert the market, empowering ISPs to choose which businesses succeed. Is Any of this Guaranteed to Happen? No. It’s important to remember that no one knows what a post-net neutrality environment will be like. Thiel and his allies suggest that it is an unneeded regulation. President Trump even claimed net neutrality could be a tool to suppress certain viewpoints. There is still a great deal of uncertainty surrounding net neutrality: Will it end? How? Will there be positive or negative repercussions? For now, the best business tactic is protecting profitability wherever possible. 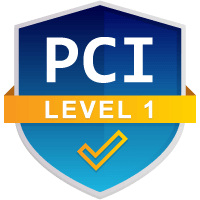 This includes chargeback management. Instead of focusing on the unanswerable questions, address the problems you can immediately solve. The battle over net neutrality is dominating the conversation. However, effective chargeback management is something all business owners can agree on. 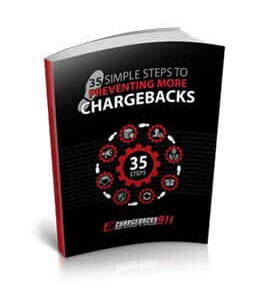 Click here to learn how to start minimizing chargebacks today.